In case you missed the excitement over on Instagram, I'm pregnant!! The past 3 months have been a bit of a whirlwind, mostly filled with all-day nausea that has thankfully passed (seriously, it was hell for a good month and a half). 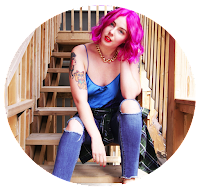 Despite all those nights spent laying on the bathroom floor, I knew I had two things I could look forward to: meeting my baby after 9 months, and that 'pregnancy glow' everyone talks about. 15 weeks pregnant and learning to love the skin I'm in. 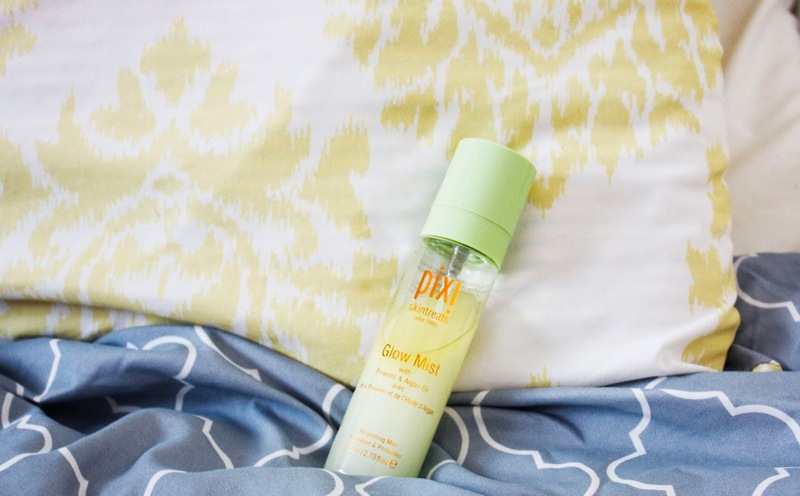 Read more about how Pixi Beauty products are helping me find my 'glow'. Yet instead of a glow, I got hit with a face full of hormonal acne. Unless you count the shine from the red clusters of pimples all over my cheeks as a ;glow' of sorts? I've always been fortunate to have fairly manageable skin, even as a teenager (not to brag or anything). I'm used to the odd pimple or two, but this was a visage I was wholly unfamiliar with when I looked in the mirror. And because my hormones are at an all time high, so came the tears. I had so much texture and redness, I thought it was an allergic reaction at first. I wanted to hide my face from the world. So I shunned my makeup collection to avoid the dreaded 'cake face', as foundation just emphasized my imperfections. I was so worried as a beauty blogger, that people would judge me for having a face full of pimples and assuming I didn't know how to care for my skin. To be quite blunt, I felt ugly. And that's an ugly way to feel when I'm going through one of the happiest times of my life. 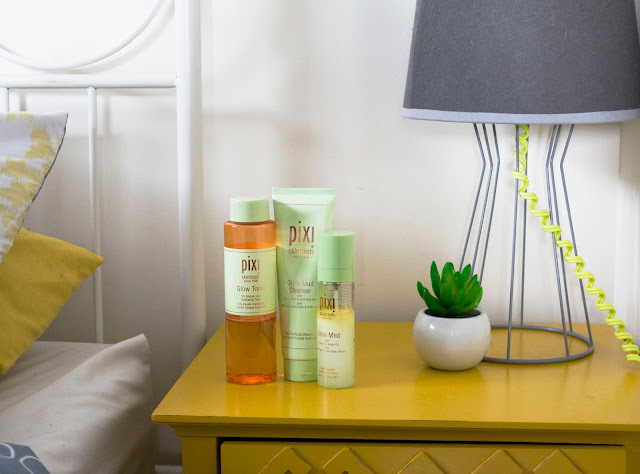 A trio of products I've been loving from the Pixi Beauty SkinTreats collection. At this point, I was a little desperate for a solution. The tricky thing with pregnancy is that you have give your beauty products a double-take to ensure the ingredients won't harm baby. After shuffling some products to the back of the bathroom cabinet, I remembered something that I had used religiously that had helped with minor breakouts in the past; a trio of products from the Pixi Beauty SkinTreats line. If you've never tried Pixi Beauty, specifically their highly coveted Glow Tonic, then you are missing out! It has a cult following for a reason; because it works!! I did a little research on skincare acids, just to ensure what I was using was totally safe for use during pregnancy. 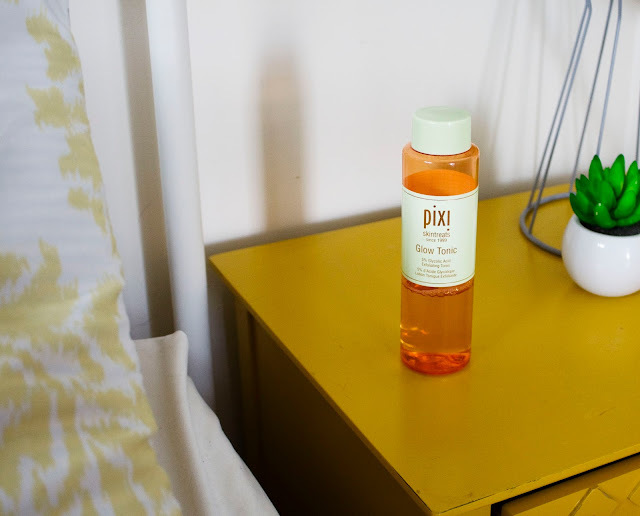 The Pixi Beauty SkinTreats line contains 5% glycolic acid, which is an AHA that is totally safe for moms-to-be. This chemical works as an exfoliant to encourage cell renewal and kill off acne-causing bacteria. Basically, this is the magic elixir to end my hormonal acne once and for all. I've been using this day and night after cleansing, and before moisturizing. I find that it shrinks down pimples faster than when I run to the bathroom with a full bladder (which happens a lot lately), and believe me that is fast! To double up on the AHA action, I've also started cleansing with the Glow Mud Cleanser. This gives me a tingly, 'minty' sensation without the burn I've experienced from other acid-based cleansers. Likely because this is balanced out with sensitive-skin friendly aloe vera. That squeaky clean feeling is definitely felt after washing with this. Of course, since it does also contain 5% glycolic acid, I am following with a SPF-based moisturizer during the day to help protect my skin. My favourite part of this skincare routine has to be the Glow Mist. As you can see, I've gone through quite a bit of this product already! That's truly because it has so many wonderful functions. I mist this before and after moisturizing, like a primer and setting spray would be used during makeup applications. I find it just gives an extra-oomph of hydration, and of course leaves a dewy, glowy shine. That is of course, what I've been after this whole time! While I unfortunately don't have before & after shots, I can confirm I'm definitely seeing an improvement in my skin's appearance! It's still in recovery mode, as I still have some texture and a few pimples. But of course we all know these improvements don't always happen in a flash. Though I will say, the skin not affected by breakouts does look pretty damn good! 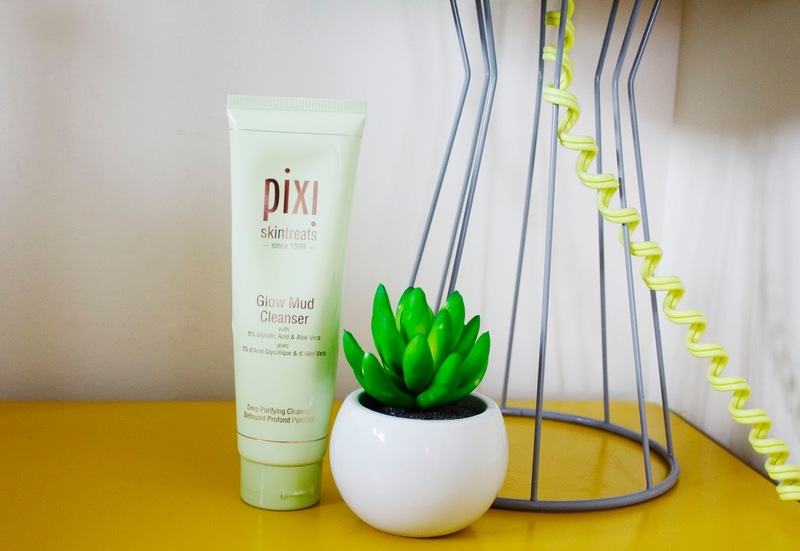 I'm grateful that these Pixi Beauty products are helping to clear up my acne more and more each day. But it's taught me something valuable in the process. Even though I don't have the clearest skin ever, I've learned to embrace it, because it's all part of this experience we call motherhood. It will have its ups and downs, but there's always beauty to be seen in it. The excitement I feel has given me a different kind of glow; one that's within me. Nice post regarding maternity products and idea. After read this blog i got very good information. Thanks for sharing such a valuable information..!! !